Have you ever worked for Belmont Park or San Diego Coaster Company? Do you require any special time off during the next six months? How did you hear we were hiring? Have you applied or interviewed at Belmont Park Entertainment or San Diego Coaster Company in the past 12 months? All applicants will be required to take a drug test within 1 business day of their job offer. Certain positions also require a background check. More information is included below. Do you understand and agree to take a drug test and/or background check within the allotted time? * Please let us know why you are unable to take a drug test within 24 hours if you answered no to the question above. It is the intent of the Company to keep all information we receive during any background investigation private and confidential. Please read and sign the statement below allowing the Company to verify past employment and information given on this application. "I hereby agree to have the President/Owner of the Company his designee or any agent of the company contact anyone necessary to investigate or verify any information I have given on this application, or to discuss my background, past performance, or my suitability for employment. I further agree to have my work background discussed by any person so contacted, and waive all my rights to bring any action for defamation, invasion of privacy, or any similar cause of action, against anyone contacted as a result of what is said about me. I also understand that the information I supply will be checked and that any false statement or omission of fact or facts in connection with this Application for Employment will result in no offer of employment or dismissal from the Company if I am already employed." Please read the Employment FAQ for important information about our hiring process and employment at the park (including dress code and grooming policies). ALL J1 VISA POSITIONS HAVE BEEN FILLED. If you are applying as an international student, please go through our partners, CIEE , for your employment opportunities for next year. All international applicants must go through this program prior to employment. Belmont Park Entertainment and San Diego Coaster Company (SDCC) is a Drug Free Workplace. If offered employment, you will be asked to submit to a drug test within 1 business day of the job offer. All job offers are conditional upon successfully passing a drug test and background check. All offers of employment will be conditioned on a negative drug test result and background check. A positive test result, refusal to test (including an adulterated or substituted test result), or failure to appear for testing as directed or at the scheduled time will result in withdrawal of the conditional job offer and disqualification from reapplication with Belmont Park & San Diego Coaster Company for six months. 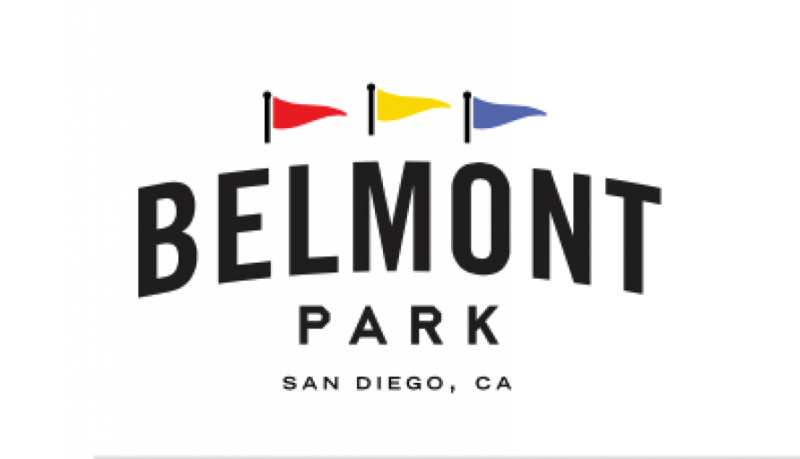 Belmont Park & San Diego Coaster Company keeps drug/alcohol test results and other related test information as confidential as possible, consistent with applicable state or local law. 1.I UNDERSTAND that I must pass a drug screen/test to be hired by Belmont Park & San Diego Coaster Company. 2.I AGREE to provide my urine, breath, blood or other specimen(s) for screening/testing for drugs and/or alcohol whenever deemed necessary by Belmont Park & San Diego Coaster Company, a collection site or a medical provider. 3.I CONSENT to the specimen(s) being collected at the assigned collection site(s) or on-site screening facility and further consent to have my specimen(s) analyzed by the on-site screening facility ( if applicable) and/or tested at a U.S. Department of Health and Human Services/Substance Abuse and Mental Health Services Administration (HHS/SAMHSA)-certified laboratory. 4.I CONSENT to the release of screen and/or test results to Belmont Park & San Diego Coaster Company, to the company's third-party administrator (including its agents, affiliates, or other related entities involved in the screening/testing process) and its Medical Review Officer (MRO) or as otherwise allowed or required by applicable federal, state, or local law. 5.I UNDERSTAND I will be given the opportunity to discuss a positive drug test result with the MRO, a licensed physician who will consider any offered legitimate medical explanation for the test result. I AGREE to cooperate with the MRO. I UNDERSTAND that the MRO is not acting as my physician or health care provider in performing this service and that no physician-patient relationship is formed between us. I UNDERSTAND the MRO may contact my health care provider(s) or others to verify any information I have supplied about why the test was positive (such as being on a prescription medication). I AUTHORIZE my health care provider or others to give the MRO this information. 6. I RELEASE Belmont Park & San Diego Coaster Company, the MRO, the laboratory, the collection site, my health care provider(s), or others who verify information I have supplied, and their respective employees, agents, and affiliates from any and all liability in connection with a specimen collection and/or test, or any employment action taken as a result of a specimen collection and/or test. 7.I AGREE that information relating to a test (including its results) may be disclosed by Belmont Park & San Diego Coaster Company, the MRO, the laboratory, the collection site, my health care provider(s), or others who verify information I have supplied, and their respective employees, agents, and affiliates, if I challenge this test or results, or if I take any action as a result of a test in any kind of administrative, judicial, legal or other proceedings relating to my employment or potential employment, including but not limited to worker's compensation, unemployment compensation or other proceedings. EMPLOYMENT AGREEMENT: I hereby certify that the facts contained in this application are true and complete to the best of my knowledge. I understand that falsification of this information may prevent me from being hired or lead to my dismissal if hired. In the event of employment and consideration thereof, the Company and any person or concern it may authorize shall be entitled to future consent, to copyright, sell or use in any matter, any photograph of me or recording of my voice, without limitation or reservation or additional compensation. I also, in the event of employment, agree to abide by all present and future rules and regulations and I understand that the Company may change the policies and procedures of employment from time to time as it deems necessary without my prior knowledge, approval or consent. I understand that my employment is conditional upon my ability to provide proof of age, identity, and my legal right to work in the United States, pursuant to the Immigration Reform and Control Act of 1986. I understand that if hired, my employment is at will and may be terminated by my employer or me at any time.